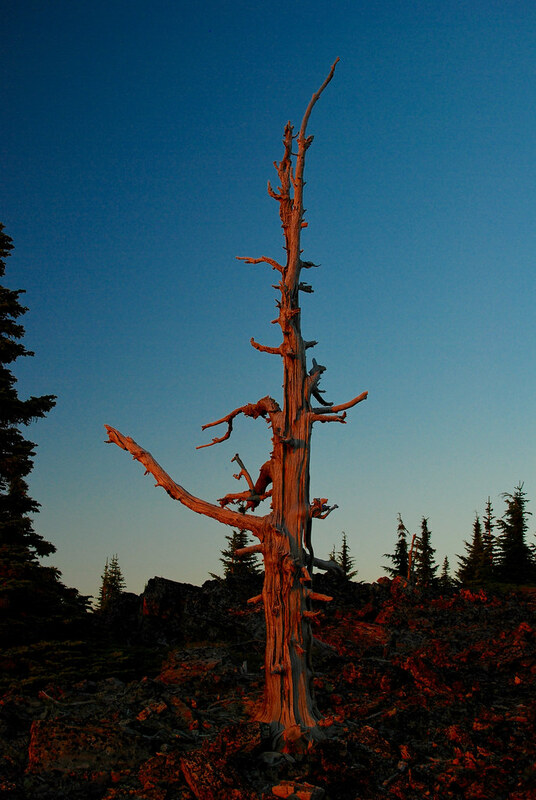 The light from the sunset behind me colored this old snag orange. 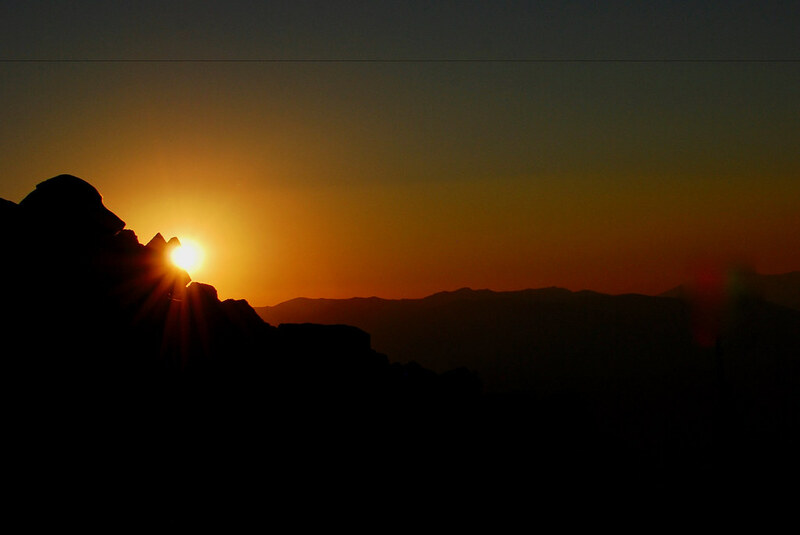 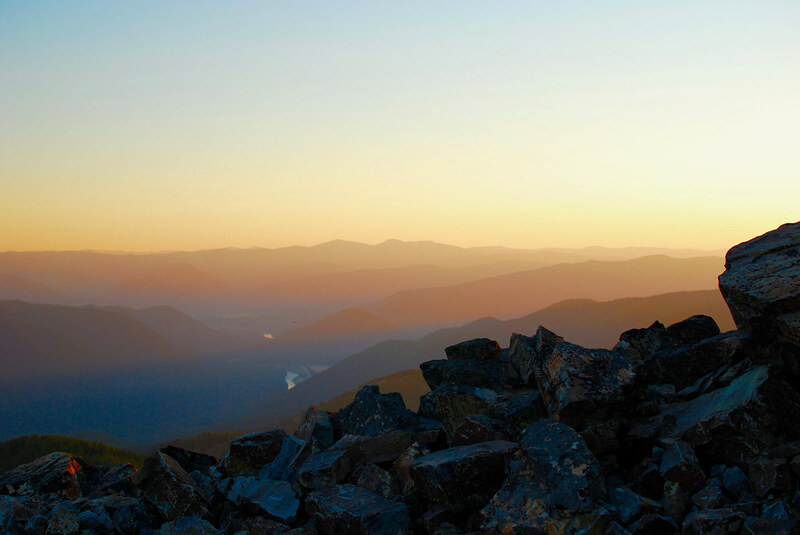 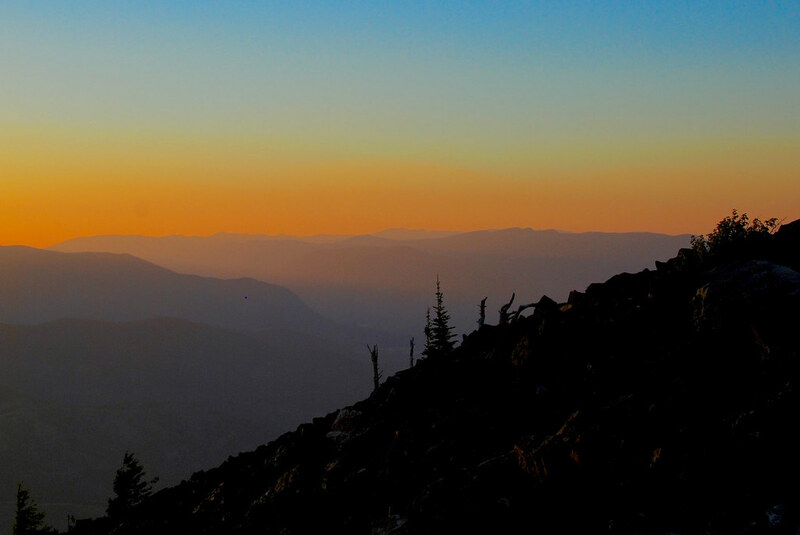 Photographed at sunset from Patrick’s Knob in the Lolo National Forest of western Montana. 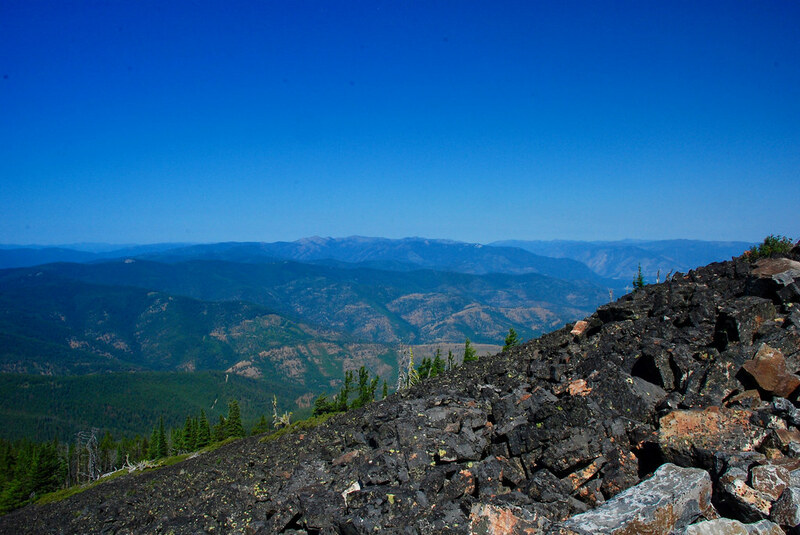 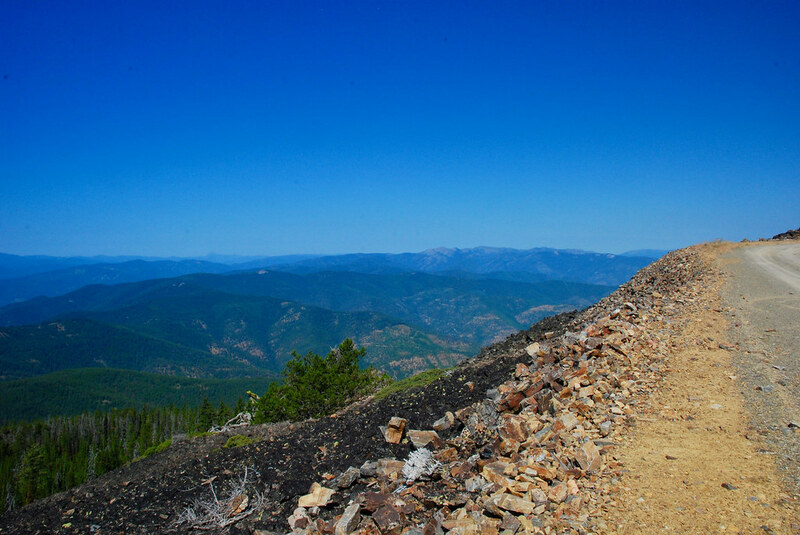 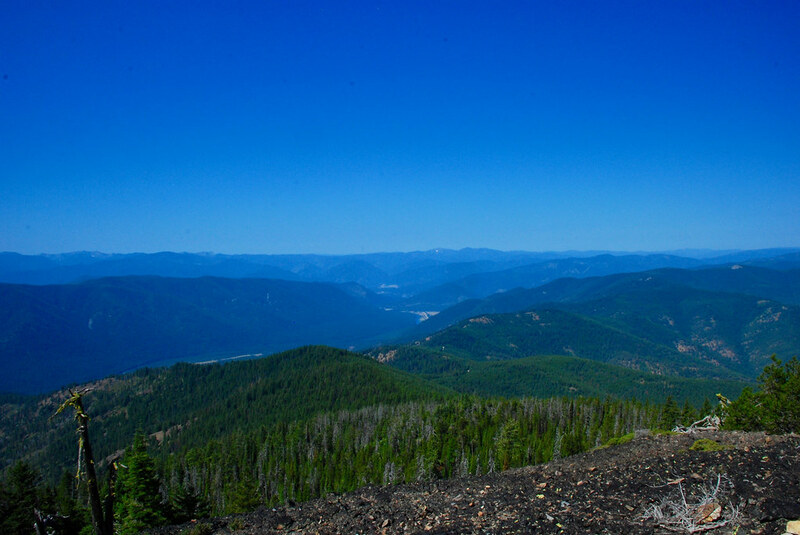 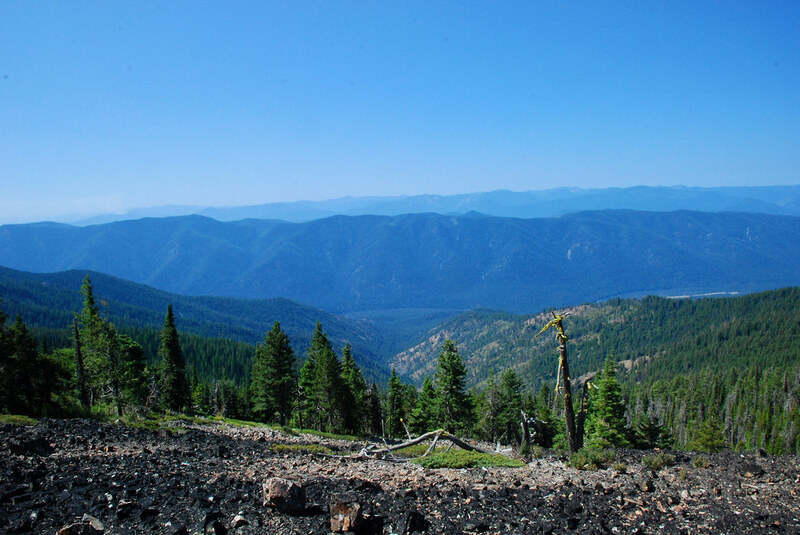 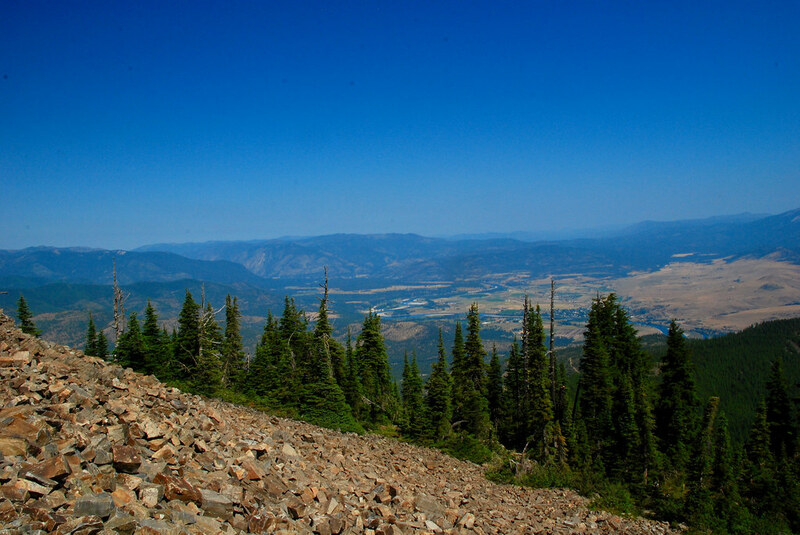 Photographed from Patrick’s Knob in the Lolo National Forest of western Montana. 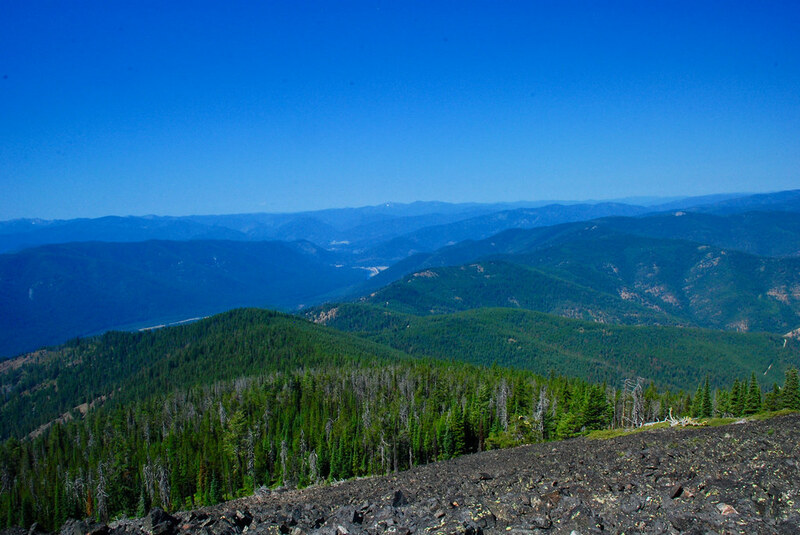 The Clark Fork of the Columbia river is 4,400 feet below and the Bitterroot Mountains are at the horizon. 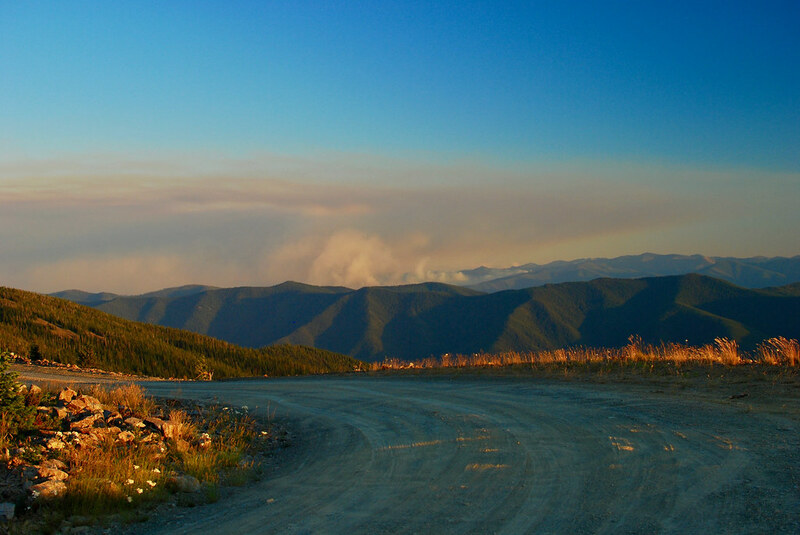 As the rays of the setting sun kissed the grass by the road to the lookout last night, the smoke from a fire filled the sky to the south.